It was a pleasant surprise for TBC members to see Pastor Andy Ingente (one of the elders of Kalibo Reformed Baptist Church), his wife and children in church worship services last Sunday, April 20. 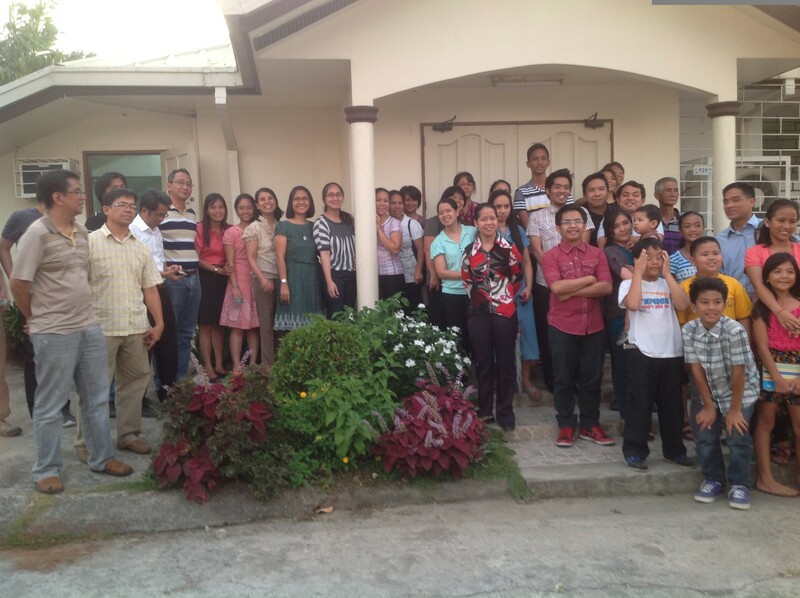 They attended a family reunion in Cainta and took advantage of the trip to visit sisters Janet, Bet Bet, Carol and TBC as well. The members and elders enjoyed a heartwarming fellowship with them, and also got some good news about God’s work in the church in Kalibo. They too are building their own meeting place, after it was destroyed by typhoon Yolanda . God faithfully provides for them just like in TBC. The visit of Pastor Andy and family shows how God’s people can be at home anywhere for we are part of one big family in Christ.